Contest season is slowly winding to a close! Couple BIG things to celebrate this weekend! 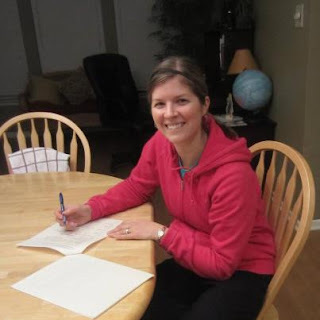 One is former Alley Cat SARAH FORGRAVE has SIGNED her first contract with B&H publishing! WAY proud of you, Sarah! Another contract to celebrate: former Alley guest poster AMY MATAYO has also signed a three book contract with B&H! B&H is SCORING the great authors this go around. Way to go, ladies! Mary has finished her novel and entered in the Genesis. Amy is interviewing Candace Calvert on Friday. It's a good time around here! We have a great week of writing tips planned out for you, so be sure and stop by and comment and join the event that is writing. What do you have to celebrate this weekend? Yay for Sarah and Amy - such great news! I love hearing about writer friends and their successes. I didn't enter the Genesis contest this year but I still have reason to celebrate this weekend! Good luck to all of you who entered Genesis! Cindy you just can't leave us in suspense like that! Congratulations to Sarah and Amy! What wonderful news. Sarah and Amy--a BIG congratulations to both of you!! Woohoo!!! Awesome news! I love it!